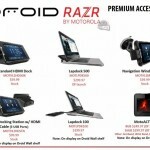 Wondering how much you’ll need to spend on the accessories you want for the DROID RAZR alongside the cost for the phone itself? Our friends at Droid-Life have gotten their hands on price sheet for everything you can expect to see flaunting next to one of the thinnest smartphones in America. 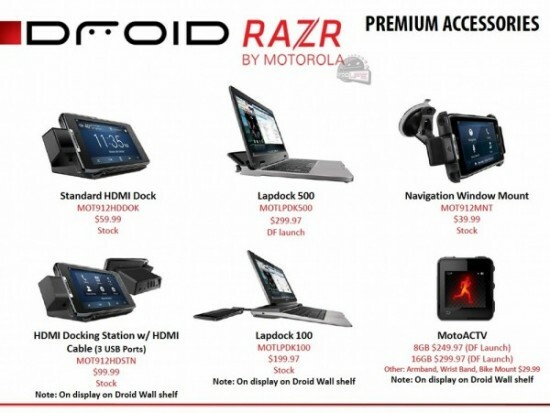 We’ve got the Lapdock 100 for $200, the Lapdock 500 for $300 and HDMI docks for $60 and $100. Take a look at the full breakdown in the photo above.